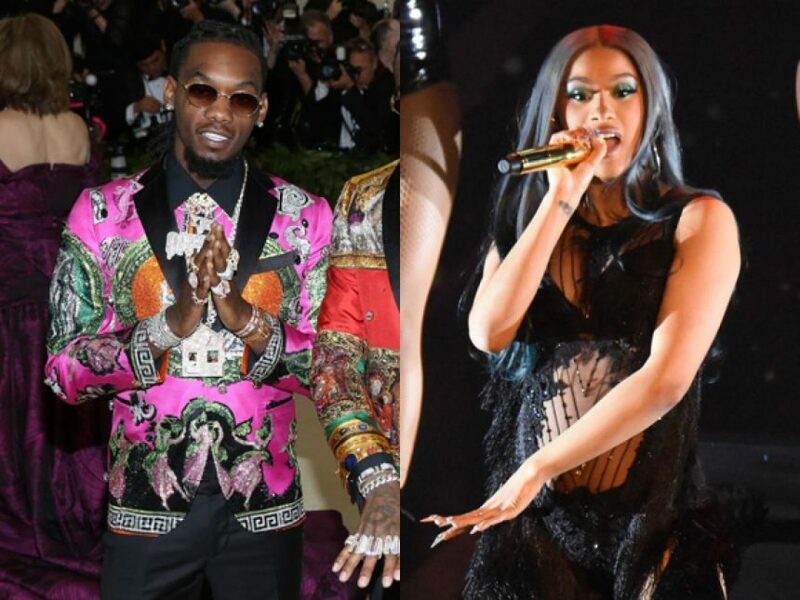 Home › Cardi B › Offset Addresses Backlash After Fans Thought He Implied Cardi B Started Female Rap Game! 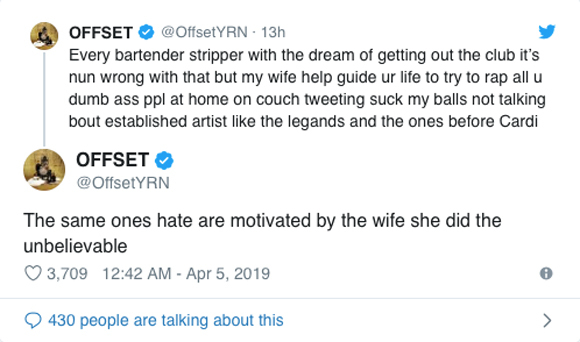 Offset defends wife Cardi B‘s legacy! However, some fans interpreted the MC’s post to imply that Kulture‘s mom started the female rap game, when several artists (including MC Lyte, Queen Latifah, Missy Elliott, Trina, Lil’ Kim, and Nicki Minaj) came before her. Related: Cardi B Isn’t Interested In Your Opinions About Her Marriage To Offset! Her application stated that she wants to use the phrase for merchandising purposes, including paper goods such as cups and posters. In a since-deleted video, the 26-year-old defended her decision to lock up the rights for her slogan. However, as we EXCLUSIVELY wrote, Broadway actress Laura Bell Bundy filed for the “okurr” trademark… a year ago! The thespian — who started saying it in her “Shocantelle Brown” YouTube skits over 10 years ago — plans on coming out with a special t-shirt, and possibly more items, for charity very soon. However, the trademark office has yet to rule on Bundy’s — or Cardi’s — request. Make those money moves, y’all!